A few months ago, I set out on a 1,800-mile, three-day road trip to relocate from New Mexico to Oregon. After numerous wallet-deflating gas station stops, (what felt like) hundreds of fast food cheeseburgers, two motels and one relative’s spare bedroom, I felt like I had become somewhat of a road trip expert. 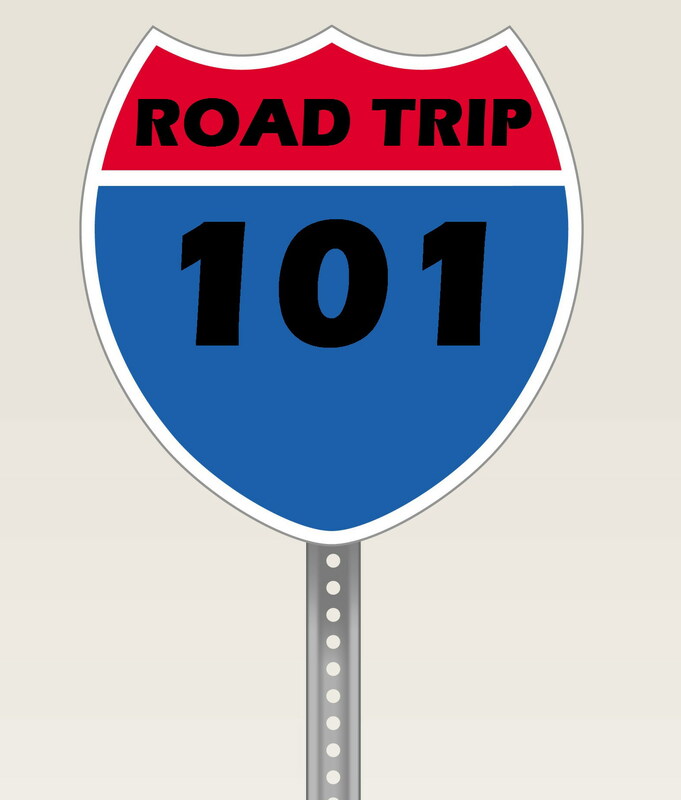 As we head into summer, you might be gearing up for a road trip too. But with the soaring costs of gas and the national economy still in recovery, you are probably trying to keep cost to a minimum. So whether you are heading to the next town, the next state or across the entire country, here are some tips that will help keep your road trip cost low, leaving more money for souvenirs or admission into the Idaho Potato Museum. One of the biggest expenses of a road trip is transportation. These expenses revolve around the price of gasoline and general wear and tear on your car. These costs can add up quickly. To keep costs to a minimum you should make sure that your car is in good shape before hitting the road. Always check to make sure your tires are properly inflated. Studies had shown that properly inflated tires can increase your gas mileage by over three percent. You can also improve your gas mileage by using the manufactures suggested motor oil. If it’s been awhile since your last automotive tune-up, a visit to a licensed mechanic is highly recommended. This step may also help prevent an untimely break-down in some town where you least can afford it. Even after doing all you can to save gas, eventually you’ll still have to make that painful trip to the pump. Fortunately, with all the available information technology it is easier to locate the cheapest gas prices on your travel route. Use a gas price tracking Web site to scope out cheap gas along the route or download an app for your Smartphone (I downloaded GasBuddy for free on my Android). This should help you know if you should fuel up in Tulsa or wait until you get to Oklahoma City. Also use a mapping Web site, Smartphone map app, or GPS to calculate the most economic routes. If you are prone to getting lost, this should also help keep you on track so you can avoid wasting gas if you accidently take a wrong turn and then have to backtrack. If your road trip will involve an overnight stay or two, you’ll probably want to pre-plan in order to save money. Obviously the best method for saving money is by finding free lodging. You can consider camping (check out FreeCampGrounds.com for a more than 2,000 places nationwide to sleep for under $10), sleeping in the car (pick a safe spot like a hospital parking lot) or finding a friend along to the route who will offer you a couch for the night. However, if you are like me and need a soft bed and warm shower, and have no friends along the way, you’ll have to find a motel. Doing an Internet search and reserving a room before hand is best. It may sometimes be a little time consuming to search for and find the cheapest place, but well worth it in the end. If you have preplanned and reserved a room, you will know exactly where you are staying, how much you will be paying and you won’t have to worry about getting into a town and not finding a cheap room (and a decent room) for the night. Compare prices quickly on most of the major hotel chains at Web sites like Hotels.com and Expedia. To me, eating snacks and fast food are one of the best parts of a road trip. In fact, on the routes I frequency travel to see my family I know every single convenience store ( note-convenience stores have a very high price mark-up) that carries my go-to road trip snack: Little Debbie Fudge Brownies. But again, grabbing chips, a drink and a brownie after every fill up or potty break will put a huge dent in your travel budget. So be sure to stock up on any snacks beforehand. Instead of stopping for fast food for each meal, carry an ice chest with sandwiches, snacks and cold drinks. If I were to indulge my brownies habit to an extreme on a trip, I could pick up a box of brownies from a grocery store and get about 10 for the price I would pay for three at a gas stations. Once your car is ready, you’re preplanned and stocked up; all you need is some great music, fun car games and spirit of adventure. Be safe, obey all traffic laws and be sure to stop and check out some crazy roadside attractions! Oh and if you’re curious, the Idaho Potato Museum is located in Blackfoot, Idaho, in case you’re headed that way.